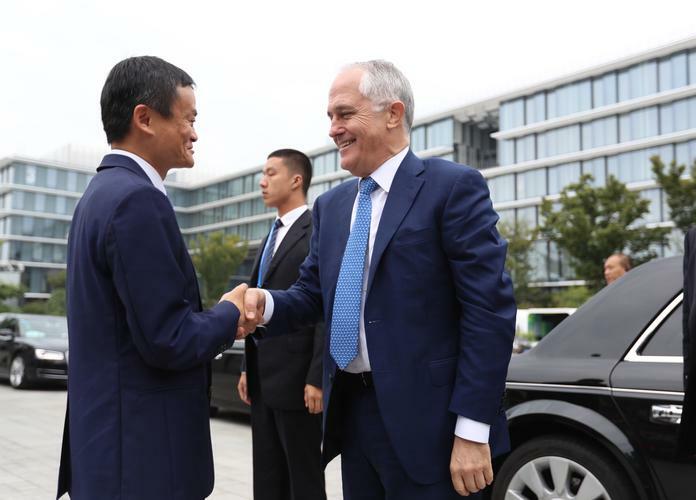 Australian prime minister, Malcolm Turnbull, with Alibaba Group’s executive chairman, Jack Ma, in his first visit to the company’s headquarters in Hangzhou, host city of this year’s G20 meetings. Alibaba (Australia) Company, a member of Alibaba Group Holding, and the Australian Trade and Investment Commission (Austrade), have signed a strategic collaboration agreement to strengthen trade opportunities. This agreement expands the variety of Australian products sold to some of Alibaba’s Chinese consumers through Alibaba’s e-commerce platforms, boosting Australian exports to China. In addition to supporting Australian companies already succeeding in China, a key focus of the partnership will be targeting first time exporters, particularly SMEs, and facilitating access to Alibaba assistance in commercialising new digital technology and services in China. The signing of the agreement was announced in Hangzhou on the sidelines of the G20 Summit and witnessed at a ceremony at Alibaba’s corporate headquarters by Australian prime minister, Malcolm Turnbull, and Alibaba Group’s founder and executive chairman, Jack Ma. 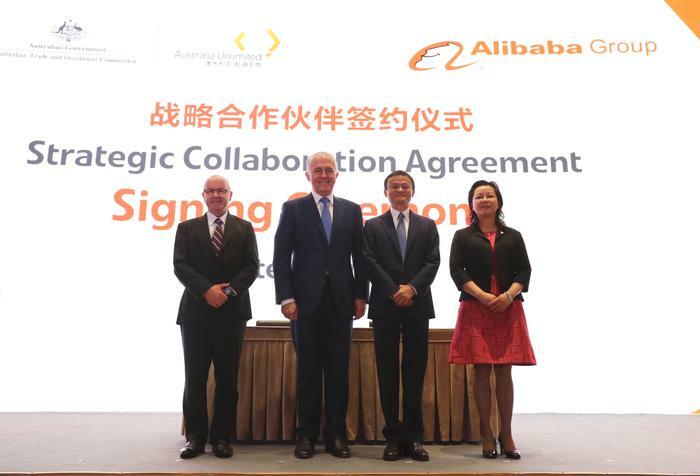 Australian prime minister, Malcolm Turnbull, and Alibaba Group’s executive chairman, Jack Ma, witnessed the signing of a Strategic Cooperation Agreement between Alibaba Group and the Australian Trade and Investment Commission (Austrade). Ma said the agreement aims to broaden Alibaba’s existing partnership with Austrade by providing dedicated services for Australian products and leveraging digital content to build brand Australia abroad. “The next chapter of trade between China and Australia will require closer cooperation and this agreement provides a new framework to ensure more businesses, especially SMEs, can benefit through the partnership between Austrade and Alibaba. “Together we can all work jointly to support Australian jobs and shape a new future for many people and businesses through the cooperation forged today," Ma said. Turnbull said Alibaba enables the smallest businesses in the regional part of Australia to have access to the biggest part of the world. Alibaba A/NZ managing director, Maggie Zhou, added that the agreement with Austrade was inked as Australia is a key market for Alibaba Group and extending its collaboration with Austrade cultivates successful Australian exporters that are capitalising on China’s expanding middle class. “With Alibaba Group’s new Melbourne office opening later this year, our local team will be dedicated to providing businesses the information and tools they need to advance their international growth,” Zhou added.